Headlines continue to report cyberattacks, phishing, and breaches in healthcare. In fact, 67 percent of CISOs believe a cybersecurity attack will happen to their organization this year, according to a new report from the Ponemon Institute. As healthcare organizations implement new technologies and devices, it’s imperative that they ensure their IT infrastructure and business operations can avoid—or recover from—potential threats. 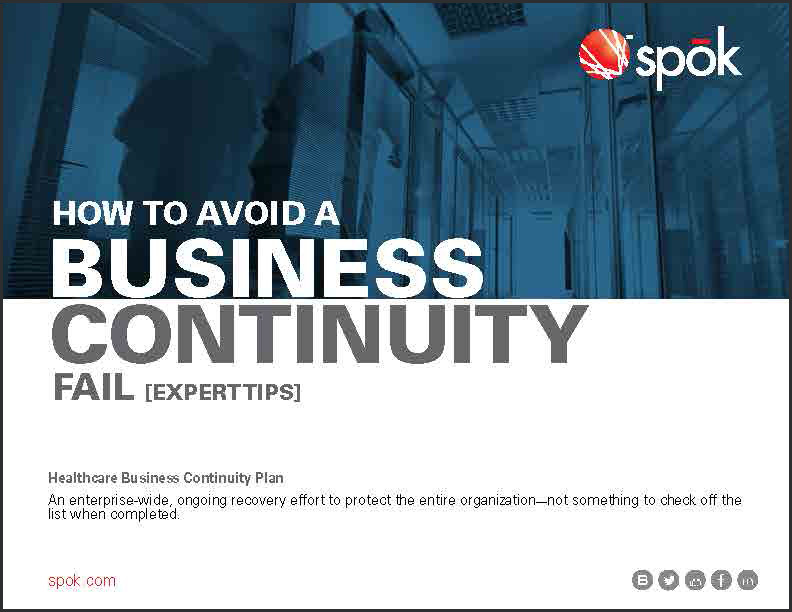 A comprehensive business continuity plan includes the people, processes, and technology needed to keep a hospital operational. We gathered industry insights and expert advice to help you to create a better plan.